Pune is the cultural capital the state of Maharashtra and also the hub of IT, research & automobile centres. This metropolitan city is spanning in context to large scale housing development by various established real estate giants. Kolte Patil Developers is an esteemed real estate conglomerate which has been crafting landmarks since its inception. A residential project named Kolte Patil Three Jewels is introduced in the market by this giant in Market Yard, Pune. Due to large scale residential developments, real estate market has been inflating in terms of prices for the residential properties in various TIER-I cities. Nowadays, as market is expected to boom in the top-tier cities, investment in residential properties in Pune is preferred as a safe investment or a better real estate decision. This vibrant urbanized metropolitan is one of the most sought-after locations to invest or to buy a residential property. 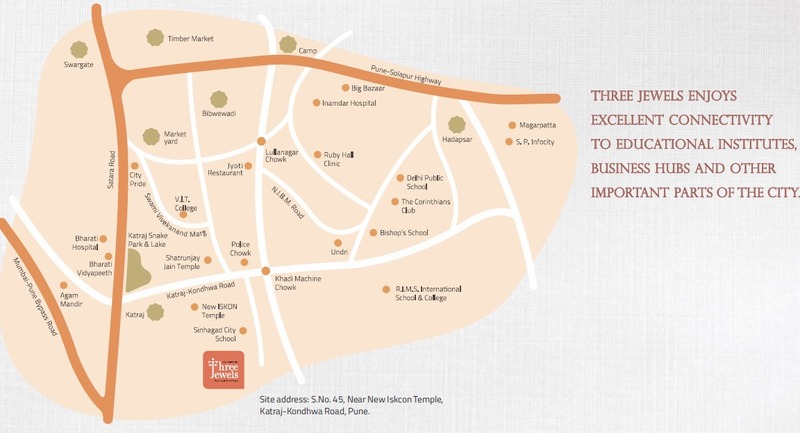 Kolte Patil Three Jewels Pune enjoys close proximity to various express and elevated corridors. Via these passages you can get access to various close-by and remote destinations. Various established social amenities such as commercial hubs, hotels, reputed education hubs, banks, other social hubs, advanced healthcare centres, etc all are available nearby to this new upcoming residential project. This residential hub is loaded with various exquisite living spaces available in various configurations such as 1, 2, 3 RLK. Get all size of these residential spaces on request. 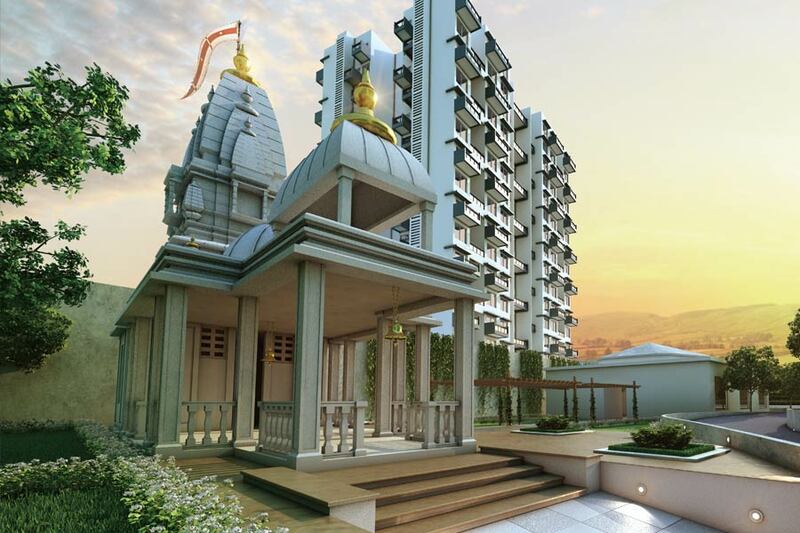 The project is equipped with various lush utilities such as Entrance Plaza, Ganesh Temple, Jain Temple, Skating Rink, Community Lawn, Party Lawn, Clubhouse, Lawn Mound, Aroma Garden, Stage, Senior Citizen Plaza, Covered Walkway, Sit-outs, etc. ‘Three Jewels’ is an enormous elegant habitation located in the proximity to fastest and convenient public transportation such as a proposed metro station, various road transport services and air transport services that will let you travel stress-free. Kolte Patil Three Jewels price is available on request. Located at Katraj Kondhwa Road, Pune. Temples like Iskcon - 0.5 Km., Shatrunjay - 1 Km., Katraj Jain - 4 Kms. etc. Bharati Hospital - 5 Kms. Ruby Hall Clinic - 6 Kms. Inamdar Hospital - 7 Kms. Noble Hospital - 12 Kms.